Unbridled! 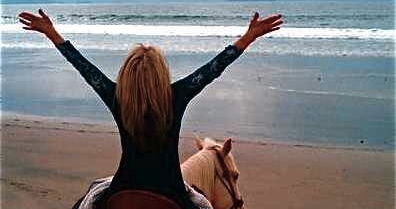 LLC and I Can Finish Well, LLC are joining up to present a Women’s Retreat, Stable Life! 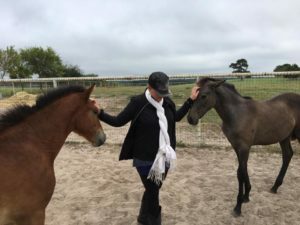 Elaine Davis, founder of Faith Based Equine Assisted Philosophy and the Stable Guide Series is infusing Tracy Boone’s, “I Can Finish Well” book with Faith Based Equine Assisted Learning! This three day Stable Life Retreat will address Identity, Authority, and caring for the Temple of the Holy Spirit. This retreat includes lunches, snacks, and drinks. Hotel is not included. There are many hotels in the area as well as B&B’s. 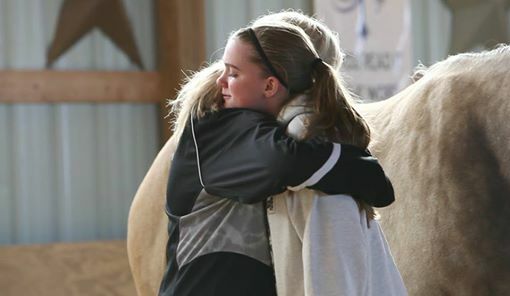 This retreat is set at a beautiful equestrian center, surrounded by tranquil Lake Crystal. At the close of this weekend you will feel refreshed, repositioned, restored, invigorated, clear vision, and ready to move forward in life! https://www.unbridledfaith.org/wp-content/uploads/2017/08/10730114_10204732644176657_8141978881884382415_n.jpg 296 510 Elaine Davis https://www.unbridledfaith.org/wp-content/uploads/2016/02/UNBRIDLED_logo_2016.02.22-300x77.png Elaine Davis2017-08-28 11:02:102017-08-28 11:02:10Stable Life Retreat! We’ll see you in Sleepy Eye, MN at Barnyard Ministries! We had so much fun in Costa Rica! Opportunities abound! Wonderful horsey friends and great, kind horses! 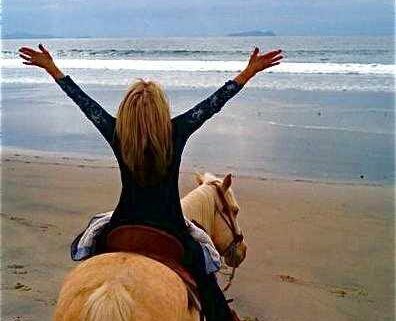 We’re wondering if you would enjoy a Women’s Equestrian Retreat at Costa Rica Equestrian Vacation?! We would do a fitness time on the beach each morning, eat fresh fruits and local food, followed by FBEAP exercises for body, mind, and spirit. Afternoons would be free to explore. Riding horses on the beach would be an option. Lots of places to explore! Monkeys live in the trees throughout the Equestrian Center. Evenings would be full of fun, relaxation, and healing of the soul… mind, will, and emotions. It would most likely be a three to five day retreat. We would partner with CREV. They are a equine vacation business and have a wonderful background in adventure travel, eventing and jumping. We are thinking about next spring or late this fall. Let us know if you’d be interested in something like this. https://www.unbridledfaith.org/wp-content/uploads/2017/03/264735_2209126387251_1220193986_32747422_4207330_n.jpg 489 396 Elaine Davis https://www.unbridledfaith.org/wp-content/uploads/2016/02/UNBRIDLED_logo_2016.02.22-300x77.png Elaine Davis2017-03-04 15:14:112017-03-04 15:14:11FBEAP in Costa Rica! It’s time to seize the day! Let’s be sure to be laying the foundation right now for the open doors that are coming in 2017! I feel so deeply in my spirit that our visions and dreams are opening wider, and manifesting in a big way this year. That means we need to be working hard right now (like the ant who gathers and prepares so that when ‘winter’ comes he is ready). Let’s do what we know to do, take a single step, day after day, and before we know it ‘new’, ‘big’ things will be opening to us and we’ll be ready. It looks like we’re in the ‘dead of winter’ right now (and we are:)), but the life of God is at work beneath the icy snow. The life of God is at work in our ‘roots’ right now preparing for the growth of our ‘new leaves’ and ‘flowers’ of the springtime that is about to come. We need to stay focused on our callings. Stay focused on the FBEAP works that God has called us to. Prepare our ‘barns and fields’. Make connections, pray, sow into other FBEAP works, brain storm with like minded Facilitators and ministry friends, write that book, start that Barn Bible Study, make your spring, summer, fall, winter, schedules, plan events, plan to advance your FBEAP education, perfect your talents, study to show yourself approved, step out in faith in any way God challenges you to! Faith without works is dead. So… activate now! When horses see something they want, they go for it! If they didn’t they wouldn’t survive. Act like a horse. Look like a horse. Thrive like a horse! Yes you can! https://www.unbridledfaith.org/wp-content/uploads/2017/01/FBEAP-eye3-png.jpg 2427 3391 Elaine Davis https://www.unbridledfaith.org/wp-content/uploads/2016/02/UNBRIDLED_logo_2016.02.22-300x77.png Elaine Davis2017-01-20 08:32:082017-05-31 14:17:39Carpe Diem! It’s almost 2017, and it’s time to start thinking about getting our stride for the new year! Big dreams require big money and good connections. Here is one idea that is easy and effective. Be sure to write your vision, and make it clear, so that when others read it, they can RUN WITH IT! How to Equity Crowdfund: A guide to crowdfunding your company. Everything you need to know and do to raise money online. We are in a race, the only race that all can win! It is the race that God set before us! He has a special race for each one of us, and specific position for us in that race. Let’s saddle up, mount up (on wings like eagles) and get to the finish line that has been set before us! He has already qualified us to win; let’s focus on the only place we were created to finish in… FIRST PLACE! Victory! Jesus came for one purpose… to Set the Captives Free! It’s imperative we do our part! https://www.unbridledfaith.org/wp-content/uploads/2016/05/11182330_10206805153746990_2462317135171772337_n.jpg 540 960 Elaine Davis https://www.unbridledfaith.org/wp-content/uploads/2016/02/UNBRIDLED_logo_2016.02.22-300x77.png Elaine Davis2016-12-28 09:05:312016-12-28 09:06:49Possible Funding Idea! New Day, New Products at Unbridled! This year we are offering Private Certifications, Private FBEAP Council, Private Team Building, and Private Healing and Deliverance. We have more calls for private work this past six months than ever before. We want to be available for you in any way we can. We have been doing private sessions for Pastors, marriages, children challenged with addictions and learning challenges, loss of vision (depression) and anxiety (fear) issues. 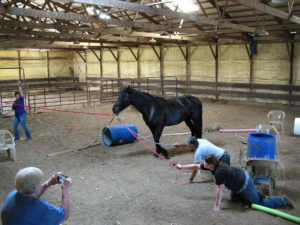 We have also been working with competitive equestrians to remove fear barriers. This work is completely confidential and private. We are an effective, fun, and completely adaptable to real life situations. If you find yourself or a loved one trapped in a negative pattern, there is hope for complete freedom. Jesus came to set the captive free, FBEAP is the most effective way of locating wrong patterns of thought and replacing them with right, healthy, Godly, thinking. We are committed to seeing the body of Christ walking in the freedom Jesus died for them to have. https://www.unbridledfaith.org/wp-content/uploads/2016/04/303533_2498503861507_1220193986_33079739_2114145925_n.jpg 209 396 Elaine Davis https://www.unbridledfaith.org/wp-content/uploads/2016/02/UNBRIDLED_logo_2016.02.22-300x77.png Elaine Davis2016-12-11 07:30:392016-12-11 07:30:39New Day, New Products at Unbridled!